Shefford and Sandy Hockey Club are ready for the new season after extensive pre-season fitness training on their home pitch at Sandy Sports Centre. Ladies and men’s teams have been working out twice a week to get set for the new season which kicks off shortly. A mixture of cardio and strengthening exercises, this training is specifically designed for our teams to have the best start to the season possible. Shefford and Sandy is a friendly competitive club with teams and training for juniors and adults, as well as a mixed summer league team. The Men’s Is team will be looking for another promotion challenge after a strong campaign saw them finish third last season in the demanding Division 1 (East League). Meanwhile the experienced ladies Is will be looking to build on a solid season in Division 2SW (East League) after finishing mid table. 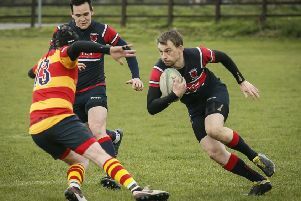 The Men’s IVs endured a tough year, relegated to the Division 9SW in East League, but the young and developing squad are looking to bounce back. The ladies IVs (development squad) had a varied time with many close games and ended the season in a very creditable position in Division 5. The Men’s IIs will play in Division 5SW, while the newly promoted IIIs looked nearly unbeatable last season and will be in Division 6SW. The ladies IIs remain in Division 1 (5 Counties League) and the ladies IIIs are set for a strong season in Division 3. S&S’ International Boys Touring Team competes in Holland for a third time while the Adult Tour Team are in an international tournament in Delft in May. The adult team (Shepherd and Shandy sheep) enter a number of UK tournaments through the year giving lots of opportunity for players to socialise and feel the strong sense of community at S&S.